Author Kraig Geiger was only eight when he first caught a glimpse of his future, while in a movie theater, watching the original Woodstock Documentary movie: this event would eventually change the course of his life. This isn't just the story of a young man's rise to fame in a challenging world; it's a story of serendipity and evolution, it's a love story, and ultimately it's a saga about how the author chose not to wallow under life's slings and arrows, but maintained a tight grip on his creativity by nurturing it to fruition. On January 4th, 1994, the new word division of Merriam Webster’s Dictionary - and on February 14th, 2014, the new word division of The Oxford Dictionary - officially recognized Kraig Geiger (by letters of file citation) for coining the word Contographer ® (i.e. concert photographer). In 1996, the United States Patent and Trademark Office awarded Mr. Geiger an official trademark to use the word Contographer ® in commerce worldwide. 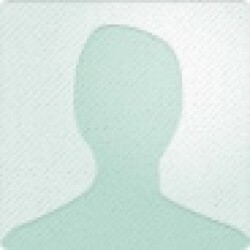 While credited for naming an industry with no prior professional moniker through his unique trademark, Kraig has successfully found the key to distinguishing himself, along with his photographic works of art, from all other photographers and concert photographers worldwide. Defining the work of a concert photographer as a trade (or a special brand) goes well beyond the normal boundaries of portrait and studio work. However, these are just some of the many aspects and achievements in his life, all documented in his story. As chapters wind through the decisions involved in taking some leaps of faith to capture memorable experiences and moments on film, as Kraig is not a digital photographer, readers gain a sense of the concert photographer's special challenges behind Geiger's decisions. The 1994 Woodstock Art and Music Fair may be the focal point of his story, but like ripples in a pond, everything evolves steadily outward from the point that he's dropped into this art world. Just as his family history involves facing many challenges and crafting new beginnings Kraig's life moves relentlessly forward in a trajectory that brings readers along on a rollicking good ride through time, space, emotional challenges, and the artistic evolution of a true artist. Expect this family history to be supplemented by a healthy dose of philosophical and cathartic reflection. Also anticipate a multi-faceted read that in many ways replicates the magic of Woodstock ’69 in the very different world of 1994. Throughout the buildup of this momentous musical celebration, readers are treated to the unvarnished truth about the pros and cons of this historic event. 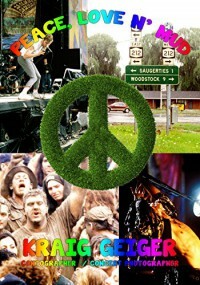 Peace, Love n’ Mud contains a multitude of powerful insights and statements about life in general, the author's life, his family relationships, his creative career, his involvement with the Woodstock ‘94 Music and Art Fair, and an unforeseen romantic connection ties this winning-against-all-odds/ love story into a once in a lifetime experience! Of special note: Kraig Geiger has only read one book in his entire life: The Way of the Peaceful Warrior. Peace, Love n’ Mud sends a powerful message of how someone who isn’t an avid book reader can not only produce a book, but can craft a vivid saga that is hard to put down. It must have been written in the stars! The first time Kraig Geiger met Woodstock Ventures founder and promoter John Roberts, in 1997, a strong connection was immediate made. At the conclusion of their first meeting, when asked by Kraig to sign a copy of Young Men With Unlimited Capital, a book about the original Woodstock Music & Art Fair co-written by John Roberts, his best friend and Woodstock Ventures partner Joel Rosenman, and collaborator/editor Robert Pilpel, John wrote this inscription: "To Kraig, We admire your grit!" A few years later (and just before his passing, in 2001), John Roberts wrote the official book preface for Peace, Love n’ Mud. Formed with the passion of an observer, artist, activist and a career Contographer ®, Peace, Love n' Mud isn't just an autobiographical story: it captures the experiences, ideals, and challenges of several generations, making Peace, Love n’ Mud a compelling standout read especially recommended for anyone interested in live music, concert photography (or photography, in general) or for those who attended one of the three major Woodstock Music & Art Fairs held in 1969, 1994 and 1999.